Find out how to format an SSD with Crucial’s quick guide. SSD vs HDD: Which is Better for You? Not sure about the difference? Find out which one is for you. Step-by-step guide shows you how to install a Crucial SSD in a desktop PC. Step-by-step guide shows you how to install an SSD in a laptop. Find out how a self-encrypting SSD is designed to protect you and your business from security risks. Learn more about computer data storage with Crucial’s glossary of SSD terms. Our helpful step-to-step guide tells you how to upgrade your computer to an SSD and why this change will help your computer’s performance. SSDs provide many benefits. Find out the top 10 reasons why you should get a solid state drive. SSDs can help boost productivity for businesses, due to their high-performance factors. Find out how SSDs can prove beneficial for your company. 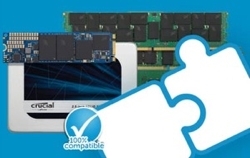 mSATA SSDs in desktops are easy to install when you know how. Read our guide to successfully install an mSATA SSD. Find out more about HDDs, SSDs, and computer data storage with Crucial’s guide. Discover the advantages of a solid state drive (SSD) with Crucial’s guide. Find out what role SSDs play in speeding up work for yourself and your employees. Find out how you can speed up and improve performance of game consoles, DVRs, NAS arrays, and media servers with Crucial. Find out more about increasing computer storage space to optimize access to your important files. There are more SSD form factors and connection protocols than before. Discover how to find the best SSD drive for your laptop with Crucial’s helpful guide. Micron SSDs are manufactured completely in-house for higher quality. Find out more about how solid state drives are made from silicon to the finished product. NVMe was developed to work with flash memory and the PCIe bus to enhance the speed of SSDs. Find out more about how Crucial is using this new protocol. The PCIe interface has been paired with the NVMe protocol to enhance the speed of SSDs. Find out more about how Crucial is using this interface to increase SSD speed. The Trim command is used with Active Garbage Collection to clean up SSDs to ensure they continue to work quickly. Find out more with Crucial. Find out more about how the SMART system works to provide you with information about your SSD's health. Crucial can help. Active Garbage Collection is used with Trim to clean up SSDs. Learn more with Crucial about garbage collection and why it's important for SSD maintenance. Installing server memory is fast and easy and results in a more responsive server. Find out more with Crucial's step-by-step installation guide. Confused about M.2, PCIe, and SATA? 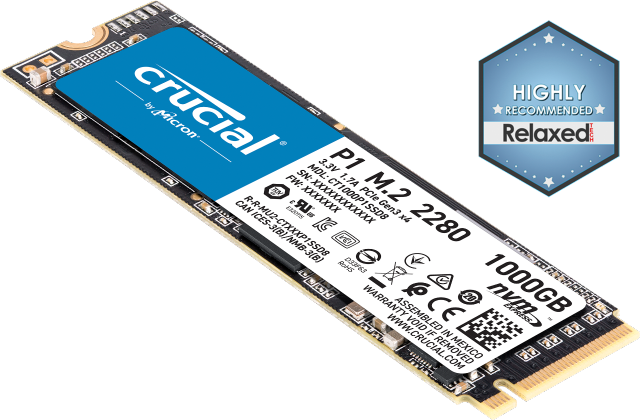 Crucial explains what you need to know about form factor, physical interfaces, and SSDs.